Strengthening its growing relationship with developers across Asia, Crytek GmbH (Crytek) today announced a new licensing deal for its proprietary real-time development solution, CryENGINE® 3, with Giant. Strengthening its growing relationship with developers across Asia, Crytek GmbH (Crytek) today announced a new licensing deal for its proprietary real-time development solution, CryENGINE® 3, with Giant. One of China’s leading online game developers, Giant have opted to tap into the cutting-edge technology offered by Crytek’s game engine as they seek to deliver new experiences to the millions of players already enjoying their games. "The best thing about CryENGINE is that it not only allows for top-level graphic rendering, but also offers scope for innovative game production." said Yongjun Fei, Vice President of Giant. "The unique ‘What you see is what you play’ philosophy of the CryENGINE 3 Sandbox, in conjunction with the available toolset, equips us for faster prototyping. 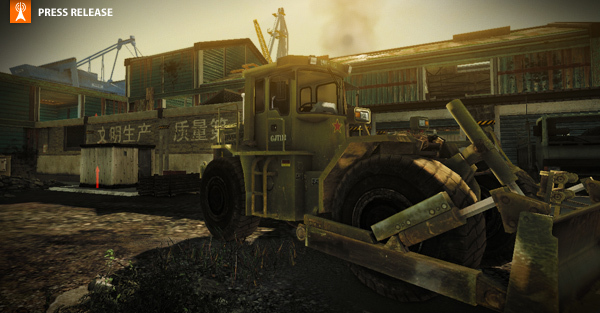 The development team could delve into the gameplay design and immediately implement changes. We could easily build a level, create a story on top of it and then explore new gameplay elements whilst fine-tuning the design. Compared to a rough demo, a high quality prototype not only shows polished visuals and more refined gameplay, but also helps to create a stronger focus for the finished product whilst shortening development time and reducing risk. Along with this outstanding technology, we also received first-rate tech support from Crytek - especially its local team in China. We're confident that we chose the right partner in Crytek." Giant is one of China's leading online game developers and operators in terms of market share. They primarily focus on massively multiplayer online, or MMO, games that are played through networked game servers in which tens of thousands of players are able to simultaneously connect and interact. In November 2007, Giant successfully carried out an initial public offering on the New York Stock Exchange (“NYSE”) under the ticker symbol “GA”. Since its formation in November 2004, Giant has been one of the fastest growing and most profitable companies in the Chinese online games industry. In April 2008, ZT Online surpassed the 2.1 million peak concurrent users mark, representing a new reported record in the Chinese online games industry at the time. By the end of 2009, Giant’s ZT Online franchise included three games: ZT Online, ZT Online Classic Edition and ZT Online Green Edition. The company currently operates a more diversified portfolio of self-developed games including the ZT Online series, ZT Online 2, Giant Online, XT Online, and The Golden Land, with additional games including Spirits of the Warriors, Elsword and Allods Online in the pipeline. For more information, please visit http://www.ga-me.com/index.php. Crytek GmbH ("Crytek") is one of the world’s leading independent companies for interactive entertainment. Crytek is dedicated to pushing the boundaries of gaming by creating standout experiences for next- generation consoles, PC, mobile devices and games-as-service using their cutting-edge 3D-Game-Technology, CryENGINE®. The company’s headquarters are in Frankfurt am Main (Germany). Crytek also has studios in Kiev (Ukraine), Budapest (Hungary), Sofia (Bulgaria), Seoul (South Korea) and Nottingham (UK) and Shanghai (China). Since its foundation in 1999, Crytek has consistently been recognized for excellence in its field, earning accolades such as the 2011 Develop Award for Best Independent Studio and a 2010 Red Dot Design Award. Its multi-award winning games include Far Cry®, Crysis® (awarded best PC Game of E3 2007 and Best Technology at the 2008 Game Developers Choice Awards), Crysis Warhead® (awarded Best Graphics Technology at IGN Best of 2008 Awards) and Crysis® 2 (awarded Best Shooter of E3 2010 and Gamescom 2010).